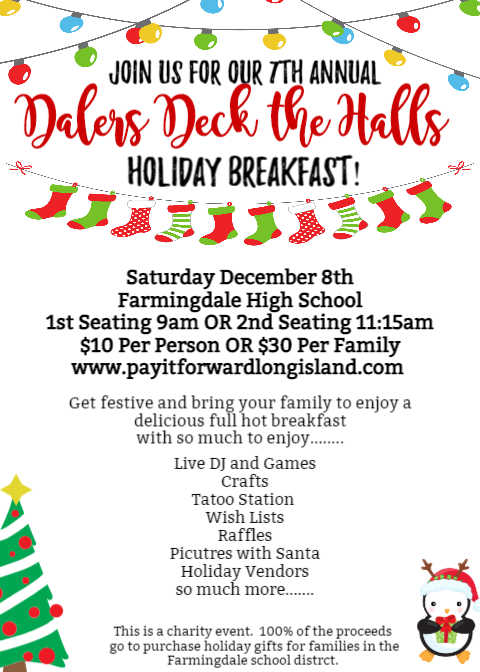 Celebrating our 7th Annual Dalers Deck the Halls Holiday breakfast and we are super excited! We have room for games and dancing. New updated crafts but still some of the old favorites. We are asking for donations of new unwrapped toys, to help us create a happy holiday season for a child in need. A free raffle ticket is given for each donation.